Okay, I’ll admit I am slightly obsessed with greenery, especially in weddings. But that obsession has now gone beyond greenery and in to well, just green! 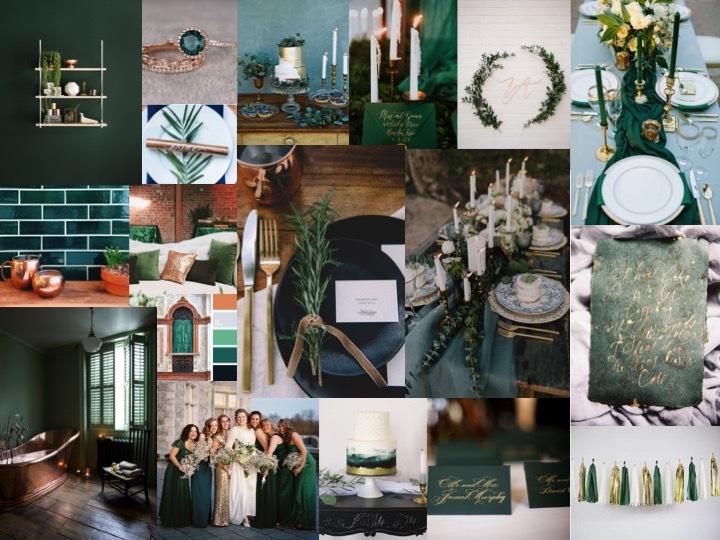 I love the colour green in decor, so therefore I love it even more so in wedding decor! I’ve had a few conversations recently about how to incorporate your favourite colour i n to your wedding without it becoming overwhelming or ‘too themed’. So seeing as green is my colour of the hour, why not start there? 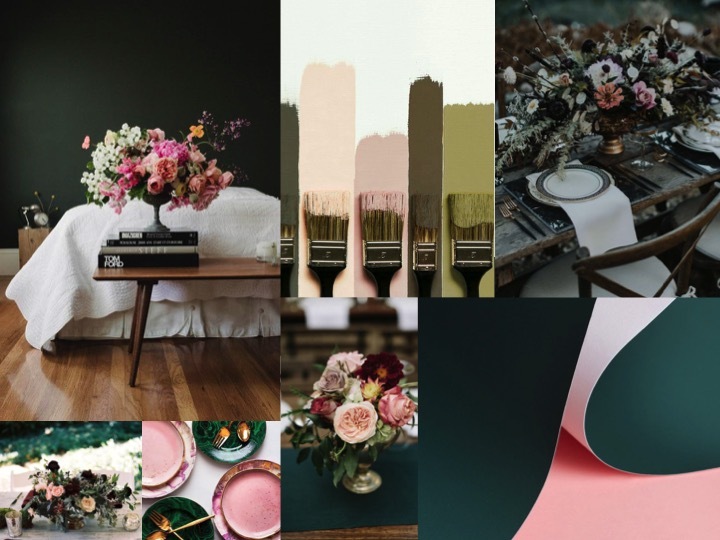 I’ve put together six mood boards/inspiration boards to show different ways of incorporating green in to a decor theme that doesn’t feel like a theme (I feel like I’m starting to not make sense…). I’ve also created a colour palette for each one to get you started. If you’ve got any questions or thoughts then get in touch – I’d love to hear from you! Here’s the first, and just so you know, I saved my favourite and put it at the end! Blue and green, in darker hues, compliment each other really well. 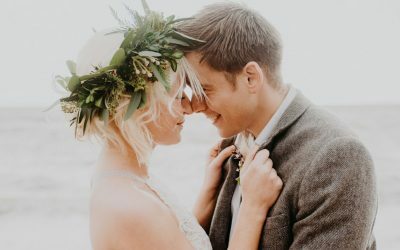 Add some brighter whites and neutrals in to keep it feeling light and airy for a summer wedding or keep those deep, lush colours for a winter wedding. You can add accents like blue glassware or linen to completely change the feel and not be all green! 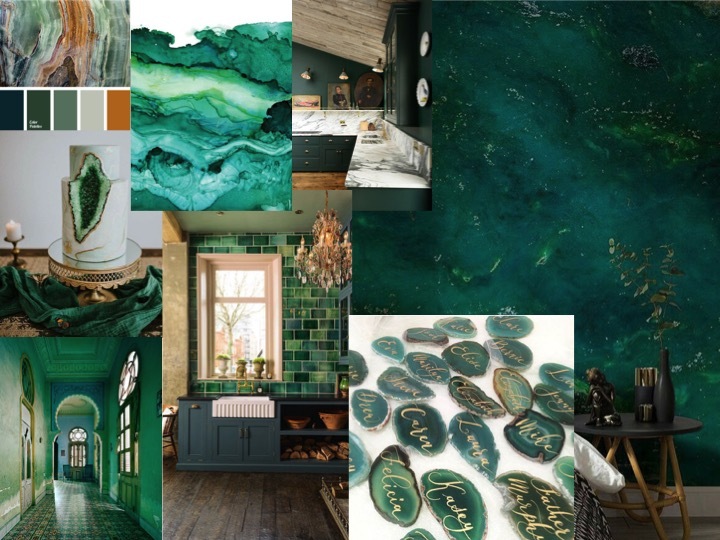 Gemstones are dreamy in so many ways but those jewelled green tones mean that you’ve got a lot to play with. You can add the colours in or add the actual stones themselves! I adore these place names and they are a fun way of injecting colour without being overpowering. You can add in marble and greys/whites for the full effect or just keep it low key with a few accents. The way nature intended! Green and wood will always work well. 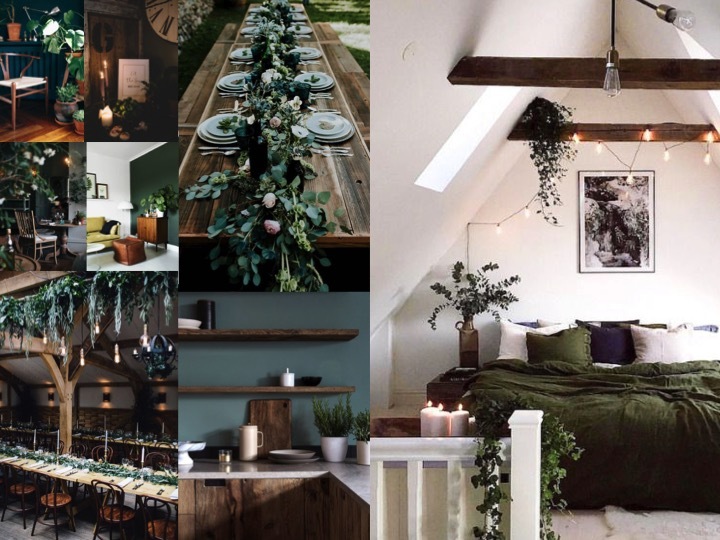 Adding lots of wood, greenery and splashes of block green can give a really earthy and natural feel, but that doesn’t necessarily mean rustic! You can go rustic or more luxe with this combination and adding clean white lines can lighten the whole feel. Adding in block green in plates, walls, invites etc. can tie it all together really well. Pairing green with metals such as gold and copper can completely change the look and feel, it’s amazing! Gold compliments green well in such a timeless way and copper brings a more modern feel. With either copper or gold you can add accents so easily in the form of cutlery, candlesticks, crockery etc. that this one is an effective, beautiful way to change things up just a touch. Or go all out, who’s to stop you?! Soft pinks and green will always get me. There is so much you can do; flowers, plates, candles, linen, cakes, the list goes on. Pinks can really soften the green and lift the whole feel. They can also add a touch more of a traditional feel. 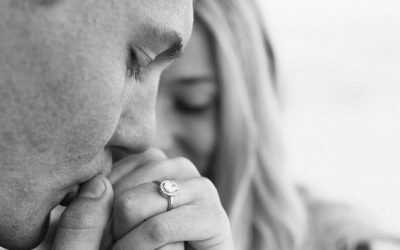 It goes without saying that they go well together because well, they were made to live together in nature!! And my favourite. Okay so I might be cheating a bit with this one because it’s not really something you can add to green but I mean, come on… green velvet is to die for! 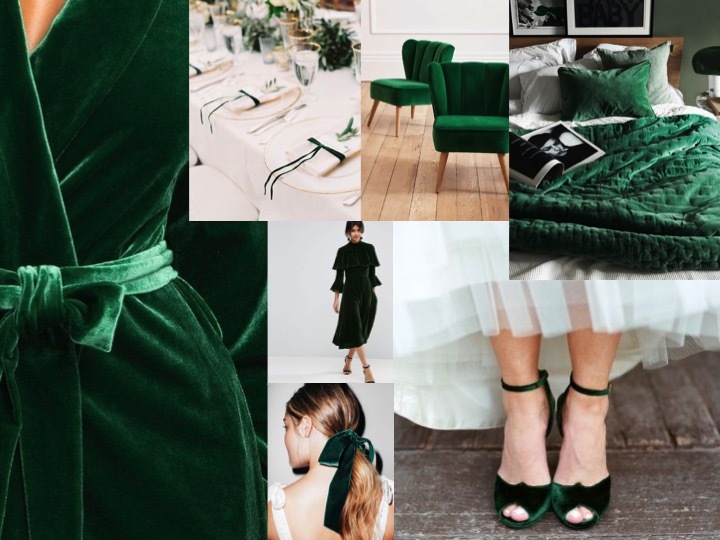 There are so many ways you can incorporate green velvet in to your day, from napkins, napkin ties, table runners, place names and chairs to bridesmaid dresses, jackets and shoes, why wouldn’t you want a bit of velvet?! It can add a touch of elegance and timeless class. Okay you got me, it also always feels AMAZING. 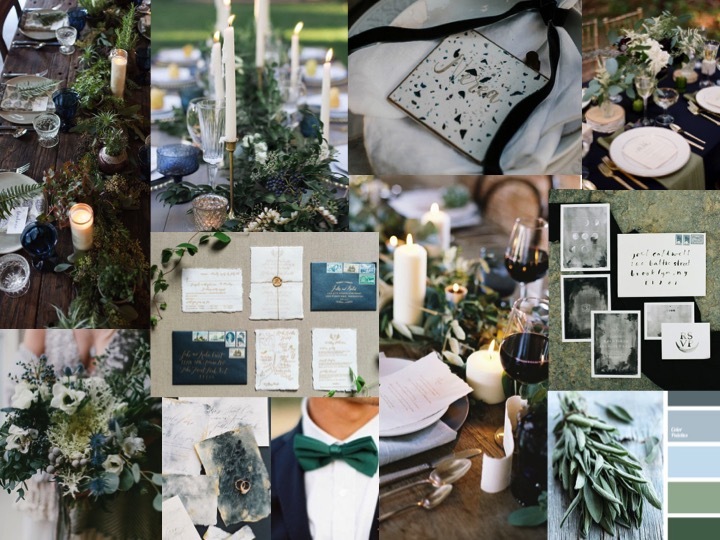 So there you go, six (of many) ways you can incorporate green in to your wedding without being overpowering. As a stylist, I always love to work with a couple’s favourite colours or a specific piece of furniture, design or wedding day element that you adore and create a concept, bringing your wedding day to life in a way that reflects you as a couple and makes you smile big! Get in touch if you’ve got any ideas or need a helping hand. I’d love to hear from you!